Nissan made a lot of great cars in Japan that were never sold in the United States, including the S15 Silvia and pretty much every generation of the Skyline. The R32 Skyline GT-R is a shining example of one of these highly sought after forbidden fruits of American JDM fans, so this homegrown rally car GT-R must be salt in the wound. 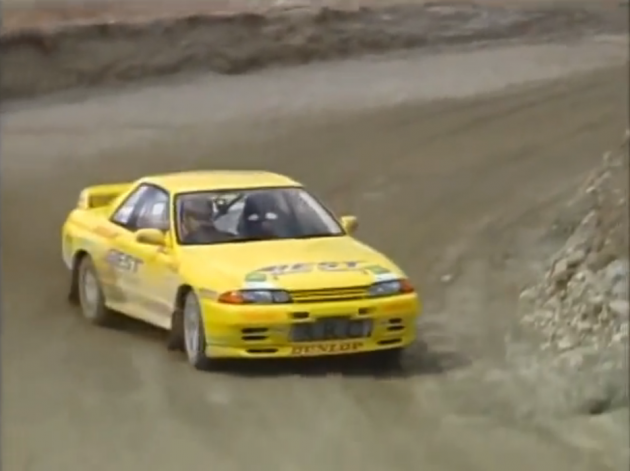 The R32 Skyline GT-R had a twin-turbocharged inline six-cylinder engine that generated 276 horsepower and had all-wheel drive, which is a huge plus for rally cars that need all the traction they can get. It only seems natural that someone would eventually turn it into a rally car. Turning this R32 into a Group A rally car involved boosting power to around 440 horsepower, adding a roll cage, stripping the interior for weight savings, modifying the suspension, and adding off-road tires. Since Nissan never sold the Skyline in the United States, it’s illegal for Americans to import them until they are over 25 years of age. Thankfully, the R32 has just reached that age since it was produced from 1989 to 1991. We wouldn’t recommend trying to smuggle any of the newer ones, as a man in Mississippi just got caught smuggling in a S15 Silvia and faces up to 20 years in jail and a $250,000 fine. That’s a lot of trouble to go through for a used car.